Add marks/cuts on chicken drum sticks. -In wok,add water,garlic paste,chicken drumsticks and cook on low flame for 8-10 minutes. -In bowl,add rice flour,all-purpose flour,salt,ginger powder,cayenne pepper,cumin powder and mix well. -In drumsticks,add rice flour mixture and coat properly. -In wok,heat oil and deep fry drum sticks and set aside. -In wok,add butter,tomato ketchup,garlic paste,hot sauce,cumin,salt and dried parsley,mix well. -Add fried drumsticks,coat well and serve. 1 tsp Cumin seed powder. Sauté onion until it’s translucent. Add ginger-garlic paste. Fry for 3-5 minutes. Add salt, chili powder, paprika, coriander powder, cumin seed powder and turmeric. Add keema. Cook keema for 15-20 minutes. Add cumin seeds and keep frying. Once the oil come out, add tomatoes puree. (Boil the tomatoes and blend them). Cover the pan and cook until the keema is cooked. Add fresh cilantro & green chili. Mix it for few mints, then add tomato, and Mix it. At the end add green chili and yogurt. 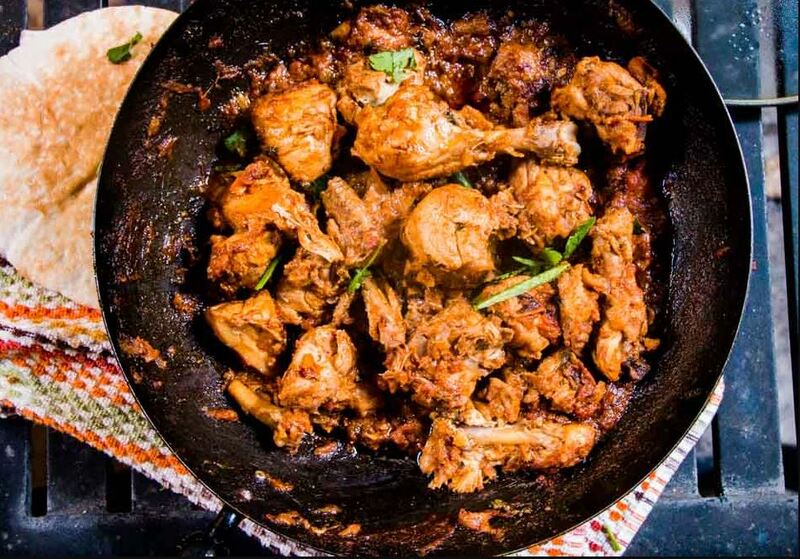 special chicken karahi recipe is ready for you.